Roman Catholic Catechism ❤+❤ Catholic Homeschool? Sunday School? 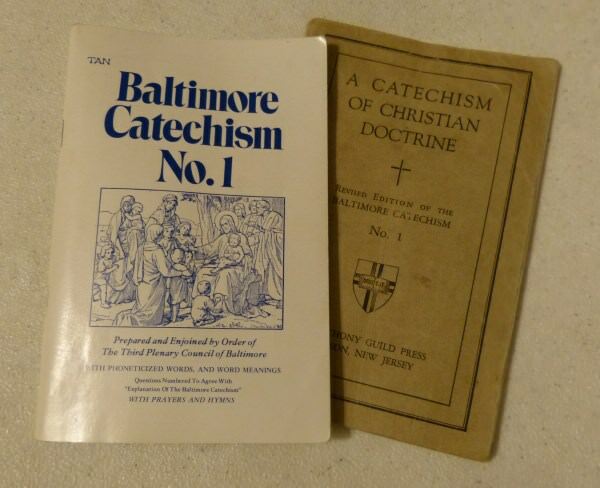 The Baltimore Catechism is the Roman Catholic catechism standard Catechism of the Catholic Church for Catholic homeschool and Sunday school. It teaches us to know, love and serve God to win Heaven! Apostles Creed, Ten Commandments, and prayers for catechism class. Continue reading "Roman Catholic Catechism ❤+❤ Catholic Homeschool? Sunday School?" Use Saint Anne's Helper Catholic Ash Wednesday coloring pages help you explain the liturgical season of Lent. 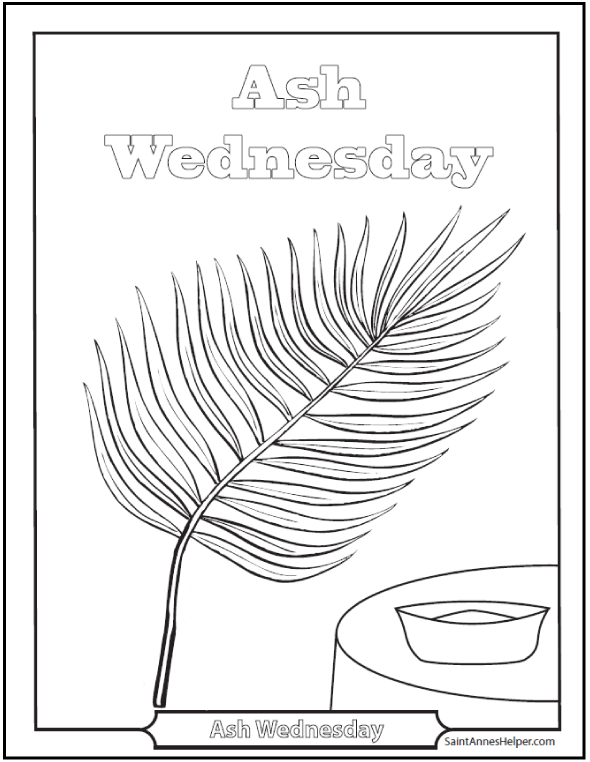 Continue reading "Ash Wednesday Coloring Pages: Start Lent Well"
The links below have Catholic coloring pages. Contact us at St. Anne's Helper Catholic Catechism ideas. We like hearing from you with catechism ideas and Catholic homeschool. 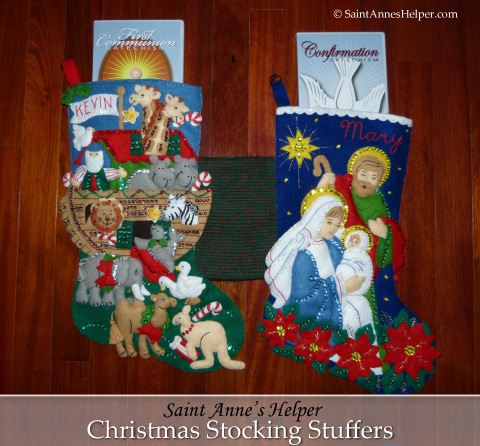 Continue reading "Contact Us ❤+❤ St. Anne's Helper Baltimore Catechism"
Catholic coloring books are lovely First Communion and homeschool gifts: saint coloring books, prayer coloring books, and Ten Commandments coloring books. Continue reading "Catholic Coloring Books For Children ❤+❤ Communion & Homeschool Gifts"
Part 1: Do you have this beautiful picture? 20 photos of Catholic catechism changes in the New Saint Joseph Baltimore Catechism CCD editions. 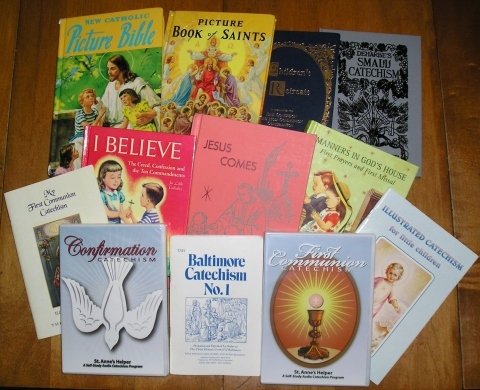 Continue reading "Catholic Catechism Changes: Baltimore 1885 to 2012"
St. Anne's Helper makes Catholic catechism class easier with audio catechism CDs, coloring pages, and Catholic worksheets for First Holy Communion and Confirmation. Continue reading "Catholic Catechism Class ❤+❤ Using The Baltimore Catechism"
Saint Anne's Helper audio Catholic Confirmation catechism helps your students learn the Baltimore Catechism for Confirmation preparation: Recorded quiz questions and answers. Download or CD each with PDF printable text File. Continue reading "Catholic Confirmation Catechism ❤+❤ Baltimore Catechism No. 2"
A Catholic Bible online is so handy for Bible research and Bible study. They Haydock Douay-Rheims Bible will be your favorite for searching texts. Continue reading "Catholic Bible Online ❤+❤ Douay-Rheims Bible Version"
Traditional Catholic printable Stations of the Cross booklet according to the method of St. Alphonsus Liguori for Fridays in Lent and all year, Stabat Mater. Audio CD. Words to the prayers. 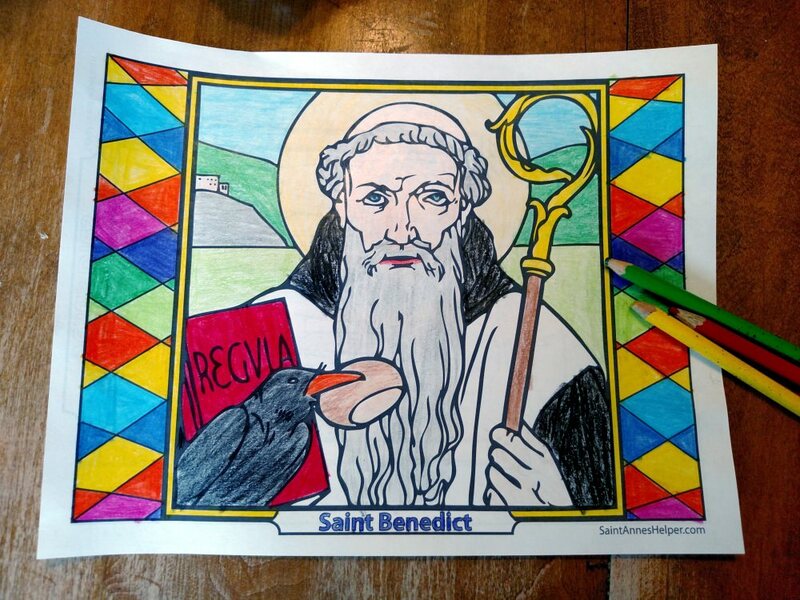 Catholic coloring book. Continue reading "Printable Stations Of The Cross Booklet +❤+ St. Alphonsus Liguori"
Compare which Catholic Missal to read for the Latin Mass. Huge Clue: Look for the Douay-Rheims Bible version for the Epistles and Gospels. New Marian, Lasance, Baronius, and Angelus: "Judge me O God, and distinguish my cause…." Continue reading "Catholic Missal ❤+❤ Best Latin Mass Missal - New Marian or Lasance"
Our enhanced CDs and Downloads contain both a text and an audio file. This way you can study as you listen to the Baltimore Catechism. Continue reading "Enhanced CD Print Help ❤+❤ Audio File And Printable PDF"
The Roman Catholic Bible has the authority of the Catholic Church and is used in Missals for Mass, the Divine Office, the Catholic Catechism, and Bible study classes. Continue reading "Catholic Bible ❤+❤ Which Version To Read?" 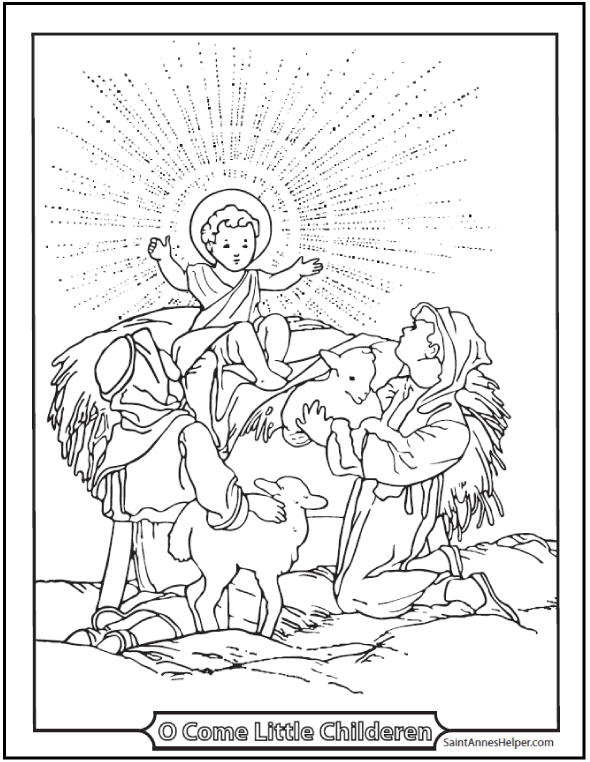 Print St. Anne's Helper's Bible story coloring pages for children: Creation, Biblical saints, Jesus, the Nativity, Parables, Miracles, Resurrection, Ascension, and Pentecost. Continue reading "45+ Bible Story Coloring Pages: Creation, Jesus & Mary, Miracles"
This is one of the sweetest printable Christian Christmas cards. It shows the Madonna of the Streets, mother and child, often used as Mary and Jesus. 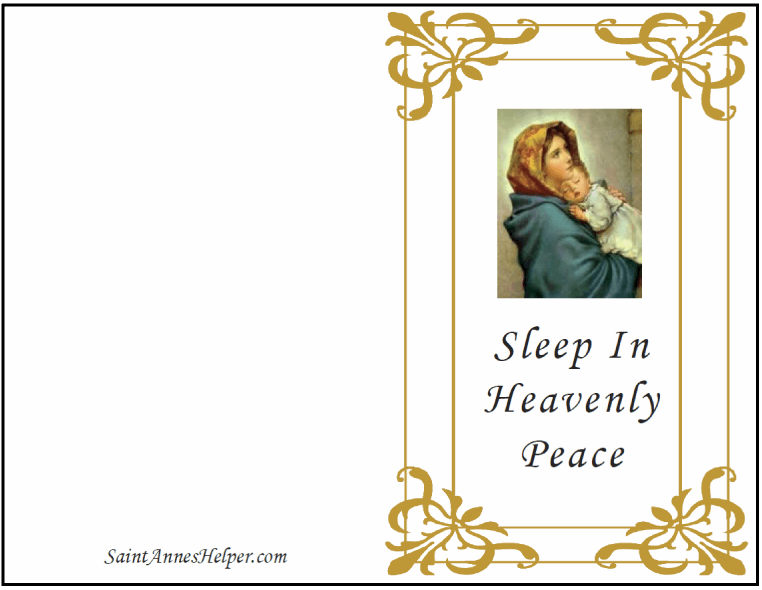 Continue reading "Printable Christian Christmas Cards ❤+❤ Madonna of the Streets"
Printable Catholic Christmas cards: This one is of Our Lady holding the Infant Jesus. Our Lady of Mount Carmel greeting card. Continue reading "Catholic Christmas Cards: Mother And Child"
Three Immaculate Conception coloring pages for December 8. Great for teaching the holy days of obligation. Feast of the Blessed Virgin Mary. Continue reading "3 Immaculate Conception Coloring Pages ❤+❤ December 8"
A high school reading list can rescue the slow days of summer! These are must read reading lists for elementary, middle school, and high school. Read any time. Enjoy! Continue reading "High School Reading List ❤+❤ Elementary and Grade School Lists"
Three printable Advent calendar pages: stable, colored pieces to cut, and blank pieces to color or use as an Advent calendar coloring page. Holy Family, manger, Nativity, and animals. Continue reading "Printable Advent Calendar ❤+❤Nativity Scene, Animals, Stable"
Print a Saint Nicholas coloring page to celebrate the feast of St. Nick, December 6, or to teach about Catholic Bishops who were saints. Continue reading "Saint Nicholas Coloring Page ❤+❤Feast Day December 6"
Roman Catholic Advent Season: Four Joyful Weeks Before Christmas! Make your Roman Catholic Advent Season warm and inviting for Jesus at Christmas: printable Catholic Advent calendar to color or cut and paste, Advent coloring pages, Catholic Advent prayers, Advent candles, and Advent wreaths. 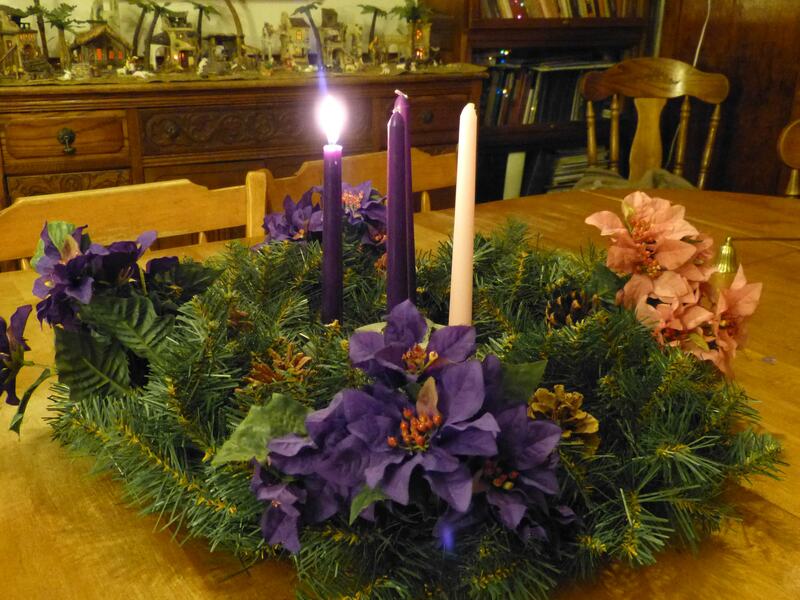 Continue reading "Roman Catholic Advent Season: Four Joyful Weeks Before Christmas!" 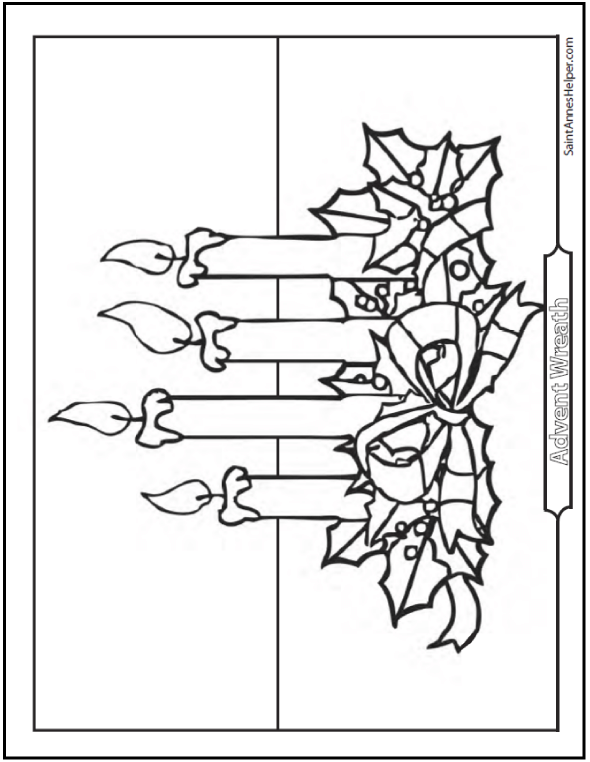 St. Anne's Helper Advent wreath coloring picture has four lit candles nestled in a wreath of holly and berries tied with a ribbon. Color the candles purple and pink. Continue reading "Advent Wreath Coloring Picture ❤+❤ For A Warm Welcome For Jesus"
November 30: Printable Saint Andrew coloring page with original art. St. Andrew Apostle, patron saint of Scotland. St. Andrew's Day, November 30. Continue reading "Saint Andrew Coloring Page +❤+ The Apostle Andrew"
What does IHS mean? The letters in the IHS symbol are the Catholic abbreviation for the Holy Name of Jesus. Printable. Continue reading "What Does IHS Mean? IHS Symbol Coloring Page"
Angels crown Jesus Christ king of kings in this coloring page. Celebrate Christ the King Sunday! Christus Vincit! Christus Regnat! Christus Imperat! 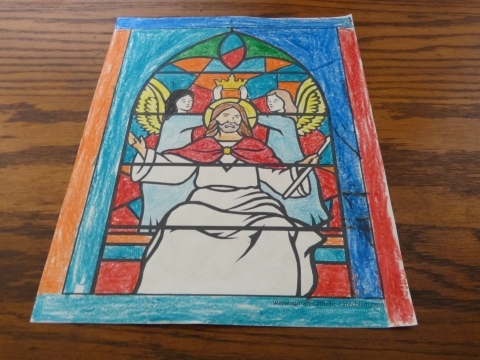 Continue reading "Jesus Christ King Coloring Page ❤+❤"
This Descent of the Holy Ghost coloring sheet shows Him descending in a stained glass church window with the Blessed Trinity symbol. 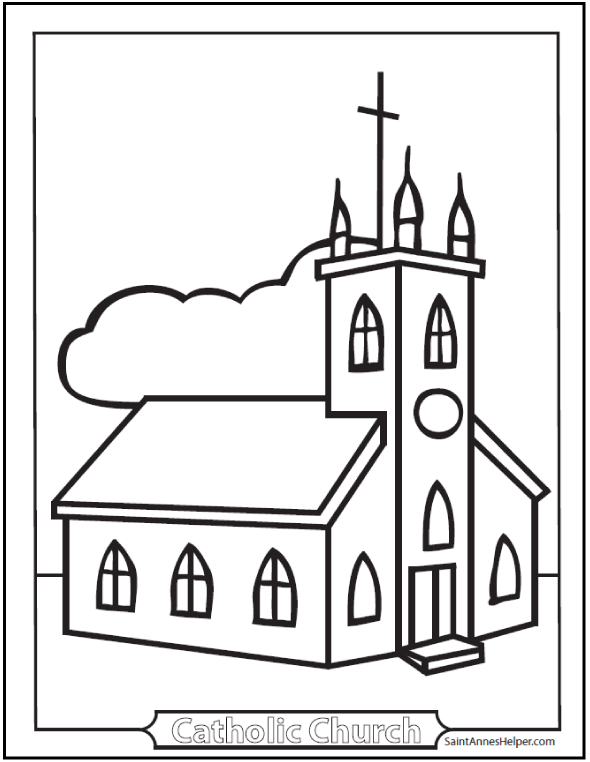 Continue reading "Holy Ghost Coloring Page"
This church coloring sheet could be about a city church or a country church. Use it when teaching about a church and parish. 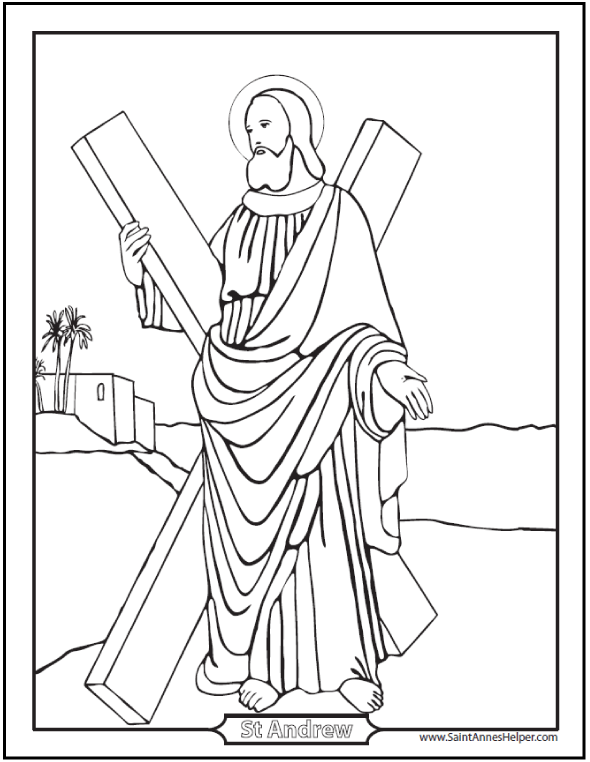 Continue reading "Church Coloring Sheet ❤+❤ Easy Kindergarten Coloring Page"
This bishop coloring page can be used for a cardinal or a pope coloring sheet. Awesome for teaching Holy Orders, ordination, and consecration. 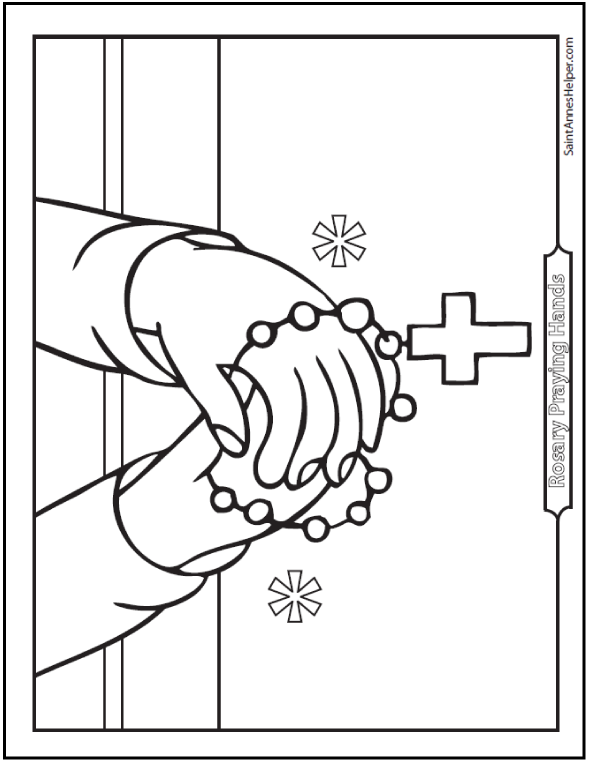 Continue reading "Bishop Coloring Page ❤+❤ Pope, Cardinal, Bishop"
This rosary coloring page shows a picture of hands holding a rosary. Lovely for teaching children about the Rosary prayers. Continue reading "Rosary Coloring Page ❤+❤ Picture of Praying Hands With Rosary"
May and October. 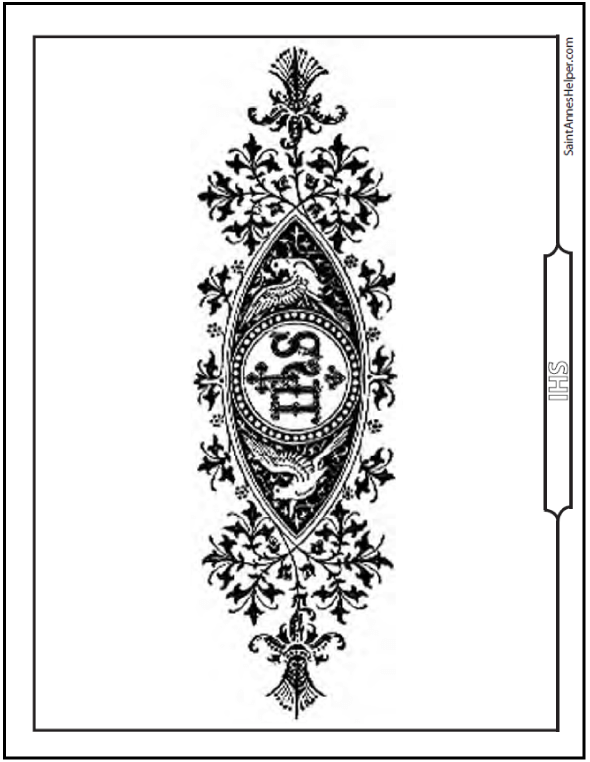 Perfect for Rosary coloring pages to print. Make Catholic cards of Jesus, Mary, Joseph, and the Holy Ghost from the Mysteries of the Rosary. Continue reading "40+ Rosary Coloring Pages ❤+❤ The Mysteries Of The Rosary"
Our audio catechism story tells about our Baltimore Catechism CDs and downloads. Now you have a personal tutor for catechism class, Catholic handwriting, and Catholic coloring pages. Continue reading "Audio Catechism Story ❤+❤ About Us"
Hail and blessed be the hour. 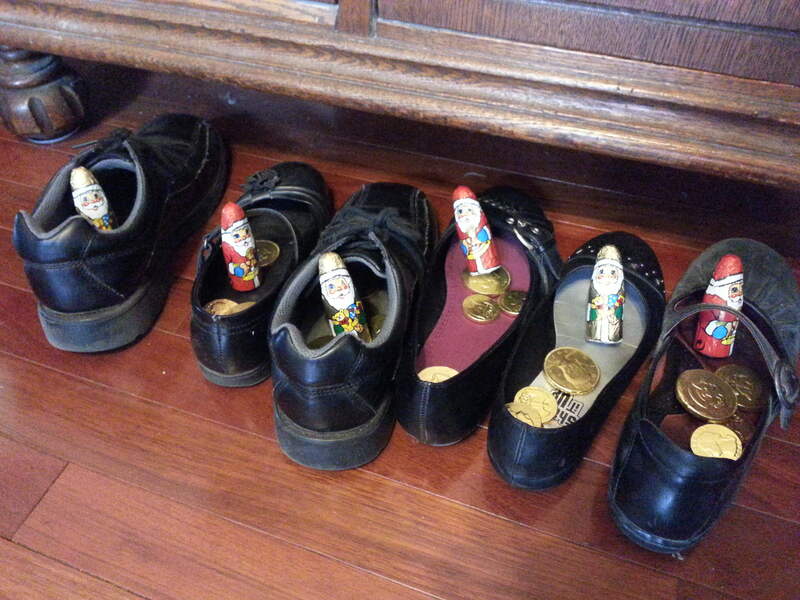 Children love the Saint Andrew Christmas Novena! This PDF prints 4 prayer cards double sided. St. Andrew picture on one side, St. Andrew Christmas prayer on the other. Saint Andrew's Day is November 30. 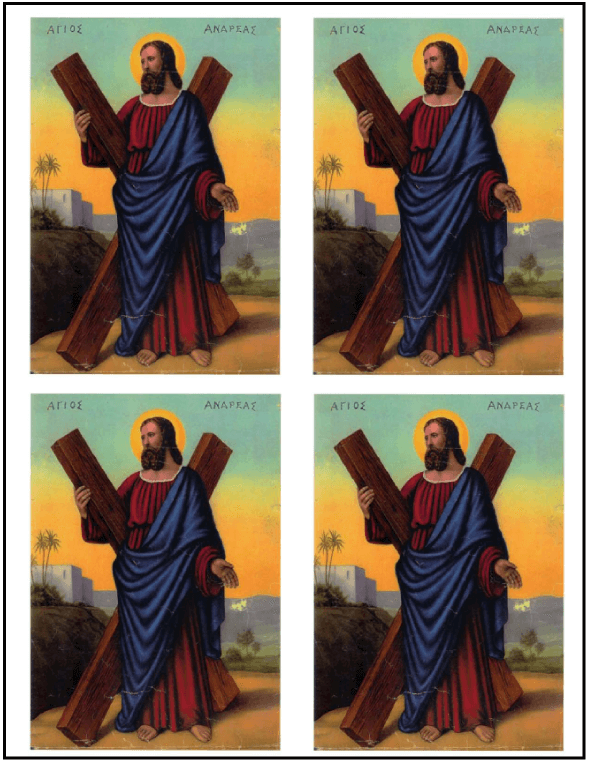 Continue reading "Saint Andrew Christmas Novena Prayer Cards"
Order Saint Anne's Helper Audio Baltimore Catechism CDs, digital downloads, and worksheets for Roman Catholic First Communion or Catholic Confirmation: Roman Catholic catechism worksheets, Baltimore Catechism audio CDs, Catholic ebooks, and Catholic coloring pages. Continue reading "Order Audio Baltimore Catechism ❤+❤ Catholic Digital Downloads"
Friday is the feast of Saint Andrew, November 30. Do you do the St. Andrew Prayers? Find printable cards here. Buy One CD, Get Another One! Free shipping. Saturday is First Saturday, December 1. Can you get to Mass and Communion? Remember to go to confession and pray the devotions, too. Advent starts Sunday, December 2. December has three holy days of obligation: December 8, December 25, and January 1. No wonder December seems so busy! See them here. Our Buy One, Get One CD sale runs through December 12 with free shipping! 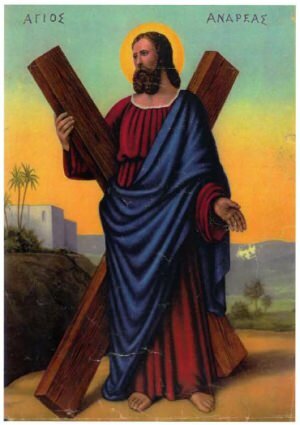 Saint Andrew the Apostle was brother to the Apostle Peter and one of the 12 Apostles of Jesus. Printable St. Andrew Novena Prayer, coloring page, and worksheet. Continue reading "Saint Andrew The Apostle: Prayer, Coloring Page, and Worksheet"
Thanksgiving BOGO CD Sale! Free shipping. Till Dec. 12. Happy Thanksgiving weekend! Ending the month to remember the Holy Souls in Purgatory, we also want to thank God for so many things. Since Advent is right around the corner (not this weekend, though), we think you'll like having CDs to give as gifts of faith. If you or your family and friends buy one of our Saint Anne's Helper Audio Catechism CDs from now till the feast of Our Lady of Guadalupe, December 12, we will include the other CD. - Buy one, get one. If you buy the First Communion CD, we'll include the Confirmation and vise versa. * Children learning about the faith. * Adults who are preparing for their Baptism. * Homeschooling families. * Grandparents giving gifts to grandchildren. * Godparents and catechists helping others to study. If you've been waiting to buy, now's a great time! Learn more and order your CD here. The Baltimore Catechism No. 1 is the #1 BC that most people remember. It helps you teach the basic Catholic beliefs, prayers, and holy days. 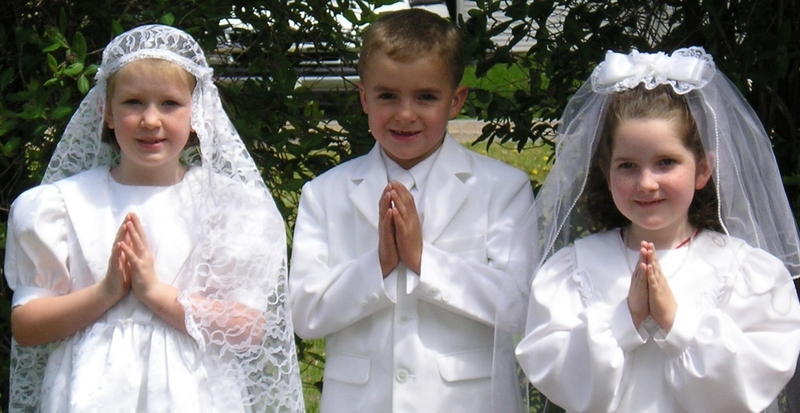 First Communion preparation: Communion audio, handwriting copywork, ebooklet, and coloring pages. 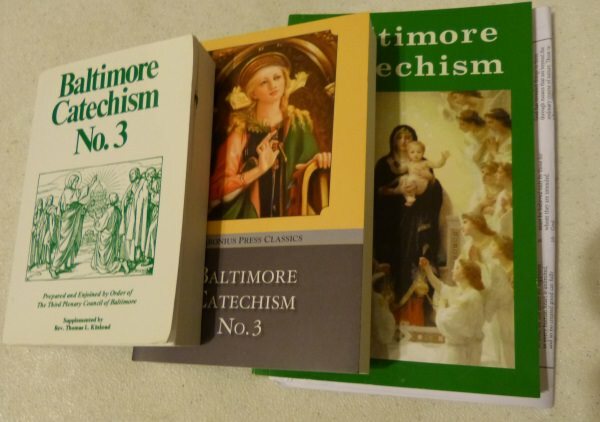 Continue reading "Baltimore Catechism No. 1 ❤+❤ #1 First Communion Preparation"
The Council of Trent defined Roman Catholic beliefs like Catholic Baptism and Catholic Confirmation. Its catechism was a concise standard for Catholic religious education for hundreds of years. Continue reading "The Council of Trent Catechism ❤+❤ For High School and Adults"
Baltimore Catechism For Children. Make memory work easier. 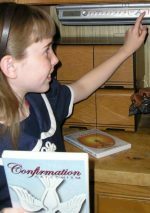 First Communion and Confirmation Catechisms: Audio digital downloads., coloring pages, and Catholic worksheets. Catechism Copybooks teach the basic Catholic beliefs. 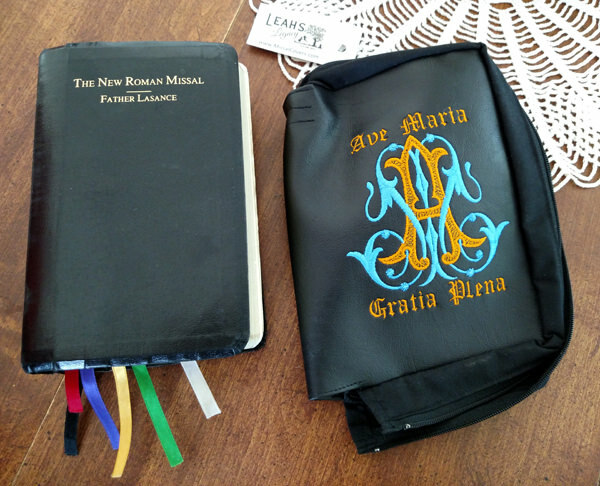 Continue reading "Baltimore Catechism For Children ❤+❤ Audio, Coloring, Worksheets"
Personalized Bible covers and Missal covers help preserve your treasured Bible or Missal from hours of reading and from the dangers of dust, rain, and humidity, especially when traveling. 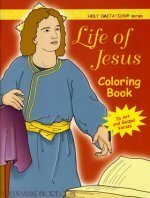 Continue reading "Personalized Bible Covers ❤+❤ Missal Covers In Custom Sizes"
Get Merry Christmas coloring pages of Jesus. Here He's in the Manger scene with lovely young shepherds with lambs at the crib. Continue reading "Merry Christmas Coloring Pages ❤+❤ Baby Jesus And Children"
Catholic books teach one to know, love, and serve God in this world so as to be happy with Him in Heaven. We share our favorite books here. 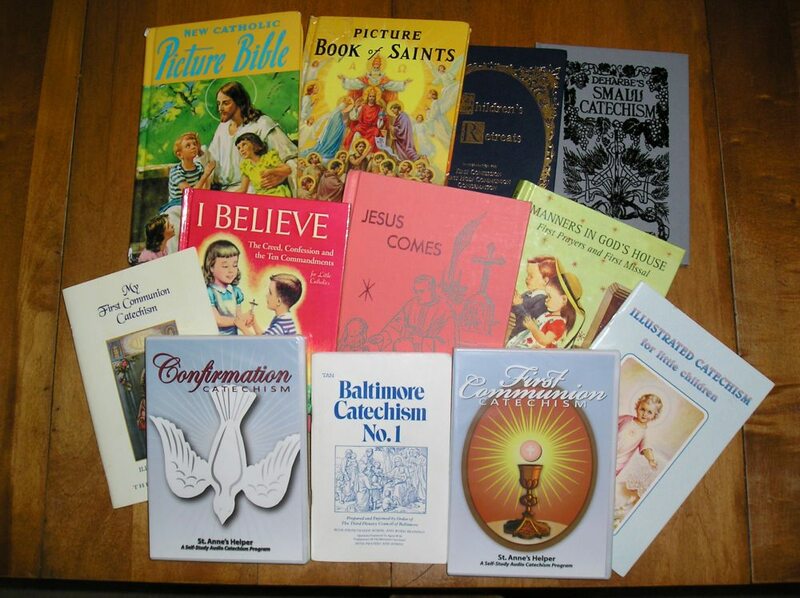 Continue reading "Catholic Books ❤+❤ Choosing Really, Really Good Books :-)"
Baltimore Catechism No. 3 was based on the Catechism of the Council of Trent. Its answers are easy to memorize including Catholic prayers, and the Ten Commandments. You only need one book. 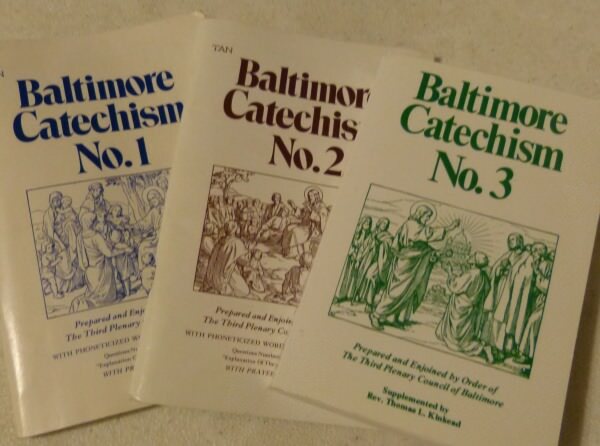 Continue reading "Baltimore Catechism No. 3 ❤+❤ High School & Adults"
The Baltimore Catechism No. 2 includes the questions from the No. 0 and No. 1. If you're just starting, you don't need to buy the other two. Also has many questions for Confirmation preparation. 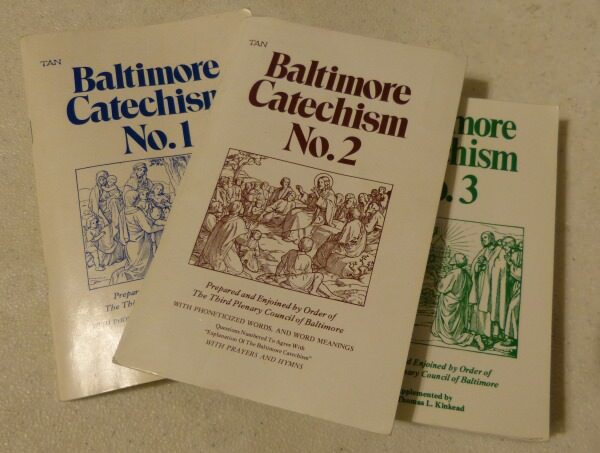 Continue reading "Baltimore Catechism No. 2 ❤+❤ Catholic Confirmation Catechism"
The Baltimore Catechism teaches us to know, love, and serve God in this world that we may be happy with Him in the next. Saint Anne's Helper Roman Catholic catechism downloads make learning the answers and prayers easy! 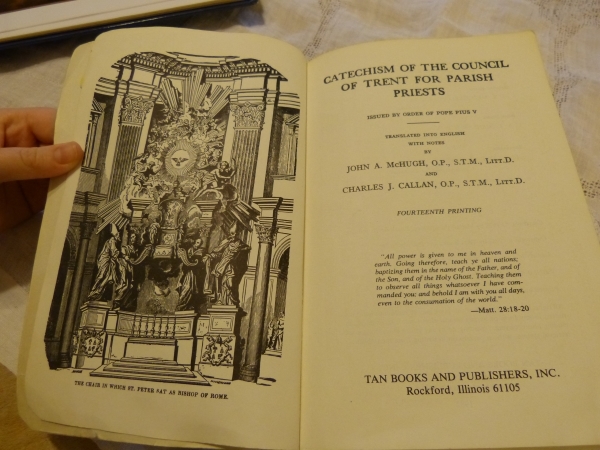 Continue reading "Baltimore Catechism ❤+❤ The Traditional Roman Catholic Catechism"
Preparing for Roman Catholic Baptism? Welcome! The Baltimore Catechism is your best friend for learning about the main Catholic beliefs: Creation, Heaven, Hell, Original Sin, and Purgatory. Continue reading "Catholic Baptism ❤+❤ Creation, Adam & Eve, and Original Sin"
Roman Catholic Baptism ceremony script and catechism class. 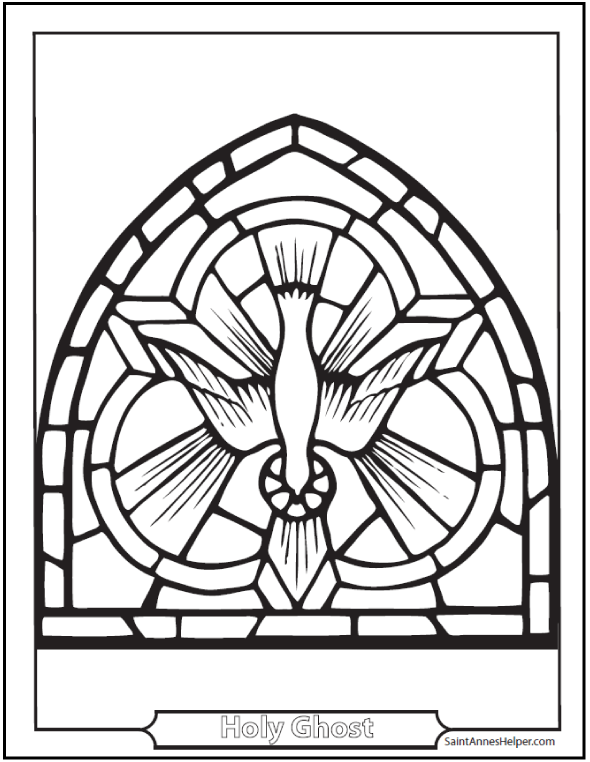 Baptism coloring pages to print. Baptismal names, adult and infant Baptism, and emergency Baptism. 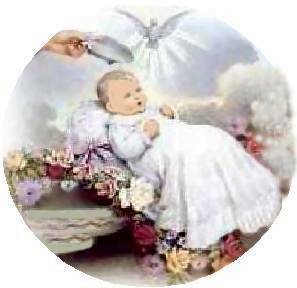 Continue reading "Catholic Baptism Ceremony For Roman Catholics"
Adult Catholic religious education: All it takes is one good Catholic catechism book. Make it easier with Catholic audio books from St. Anne's Helper. Learn the basic Catholic beliefs from the Baltimore Catechism and other good books. 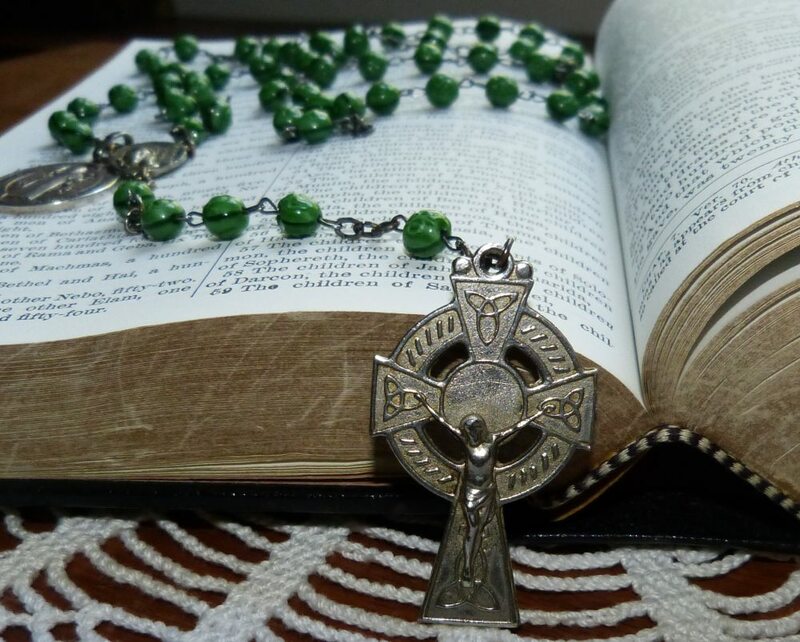 Continue reading "Adult Catholic Religious Education ❤+❤ Catholic Books"
An adult Catholic catechism teaches the basic Catholic beliefs: the Catholic Ten Commandments, sacraments, and prayers in greater depth. You only need one book. Continue reading "Adult Catholic Catechism Made Easy"
There are so many wonderful helps now for preparing for the sacraments, and we want to help you with what we've found. 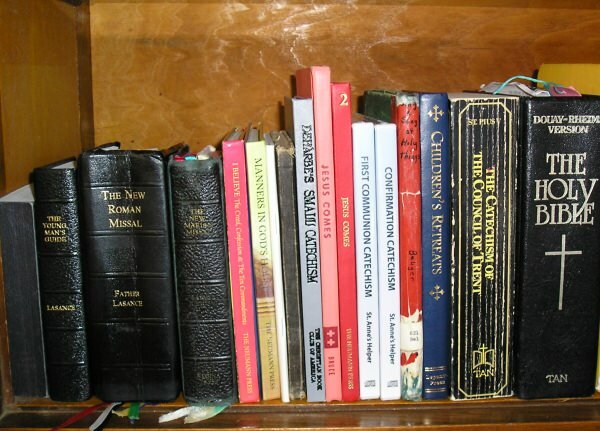 The Catholic First Communion and Catholic Confirmation catechism cover most of the truths in any Roman Catholic catechism so they're a great place for children and adults to learn or review the basics. Simple! A child's catechism is merely an outline of an adult catechism. If you're an adult, read an adult catechism for more details and stories from the Bible and the lives of the saints. If you're new, be encouraged that you don't have to go through all the "levels". It all began years ago when our pastor asked us to teach the First Communion class, early in our marriage. 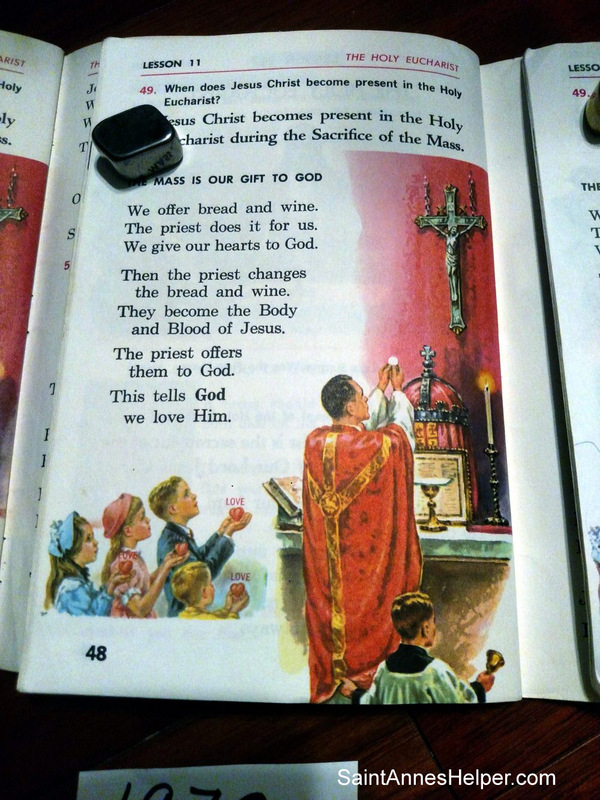 Later, and after we had taught the Roman Catholic catechism to our own children through the years, using many different catechisms and programs; I was thrilled to find that the catechism is super simple. In the course of time we developed First Communion and Confirmation catechism worksheets and audio recordings that you can use in CCD, RelEd, Catholic schools and Catholic homeschool. Whether you're using the Baltimore Catechism for children or a giant compendium for adults, the exact same topics are covered. What a relief to new students! Be encouraged by this knowledge and encourage your students with the same. Once they've made it through the basics, you've got a great outline to use for the rest of your life unto the great pearl of final perseverance. Learn the Catholic Ten Commandments now and you'll know ethics for a lifetime. Learn the Apostles' Creed and you'll be able to state what you believe as a Roman Catholic easily. Learn the Roman Catholic prayers and you can gain many graces. Learn the virtues and live a holy life. 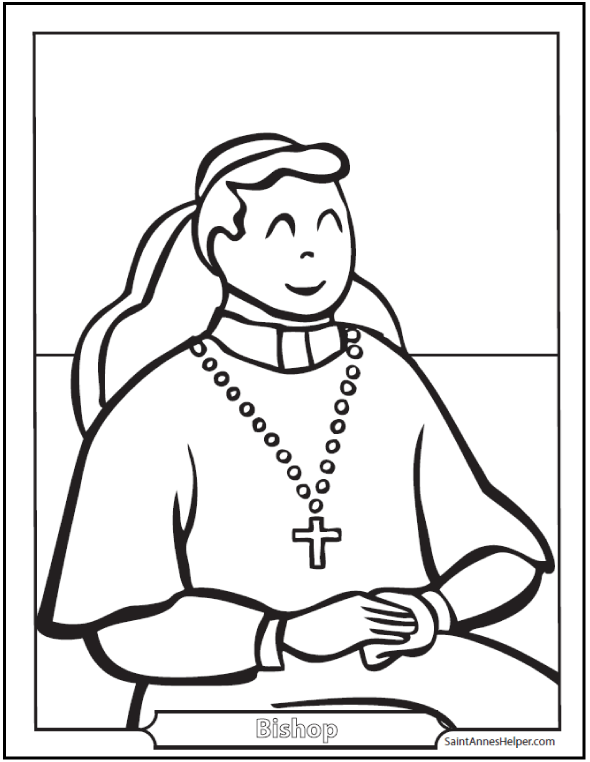 Catholic coloring pages to print. We also have a near monthly Holy Day reminder email list here. 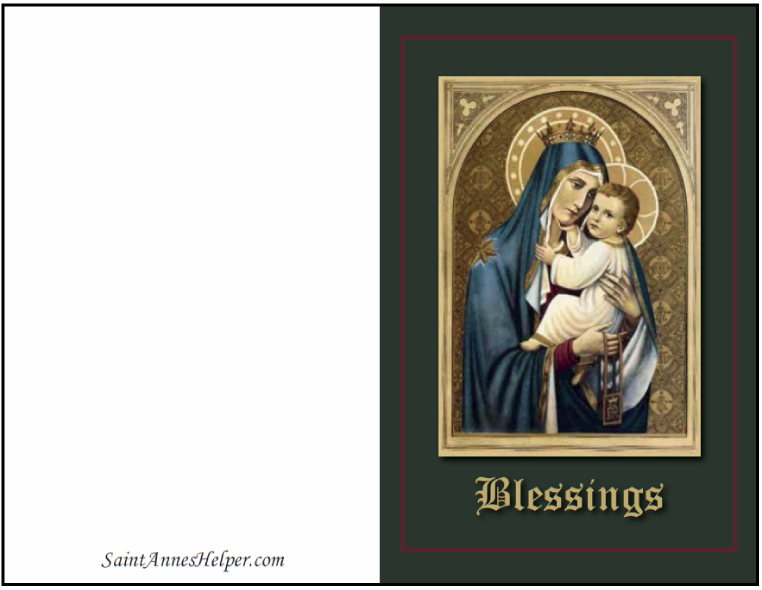 Thank you for visiting Saint Anne's Helper Catholic Catechism blog. Catholic Resources Award Since 2009!